Phoenix Wright: Ace Attorney – Dual Destinies, the newest entry in this much loved series for the Nintendo 3DS, was announced for territories outside of Japan earlier this year. The only snag? Capcom is set to save scratch by only releasing it in digital form. That digital-only news hit series fans a little hard, as a lot of folks would much rather have a physical copy and case for their game collections that only an icon on their system's home screen. 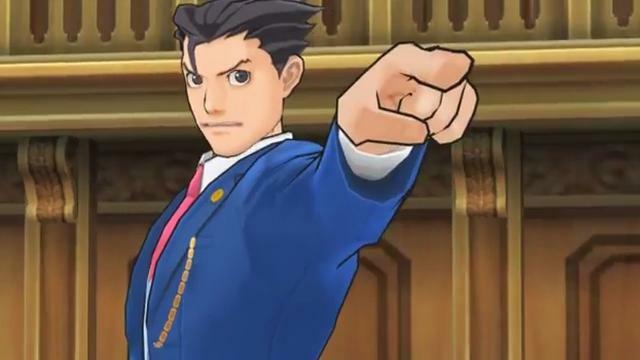 During E3, Ace Attorney Producer Motehide Eshiro suggested that, if there was a big enough push from fans, Capcom would look at a physical release of Phoenix Wright: Ace Attorney – Dual Destinies. Capcom-Unity forums member "Hours Left" took to the community message board and started a thread with that quote from Eshiro. As a part of that process, Eshiro-san and I have met mulitple times, including the morning where he gave the interview where he made the statement above. I was not quite ready to open the possibility to folks until we had a few more ducks in a row but Eschiro suggested he mention the potential in an an interview he was having that afternoon. So, if you'd like to be heard, you can post on this thread (I'll leave it open), PM me on Capcom-Unity or hit up my twitter (@chrissvensson) as many folks already have. I need some additional ammo and these requests fit that need. If things go well and demand is there, in a few weeks I may be able to present an option that puts the ball back in the fans' court (in "tennis" terms, not "of law" terms). I want to stress the word "may" so as to not misrepresent the situation or promise anything. We are trying. Again, timing and pricing would be at a disadvantage to the digital option as an assumption you should make. On the AAI2 front, Eshiro is very much a man who could push make that happen so I'm glad who whoever asked that question, did so, but I've got nothing more I can add there. I feel the point above is valid. "Hours Left's" thread has since become the official place to ask Capcom to bring Phoenix Wright: Ace Attorney – Dual Destinies to international shelves in physical form. If you want to see Phoenix Wright sit next to your games at home and object to your existence in his newest title, you might want to ask Capcom for a physical release as well. Phoenix Wright: Ace Attorney – Dual Destinies will hit the Nintendo 3DS this fall.